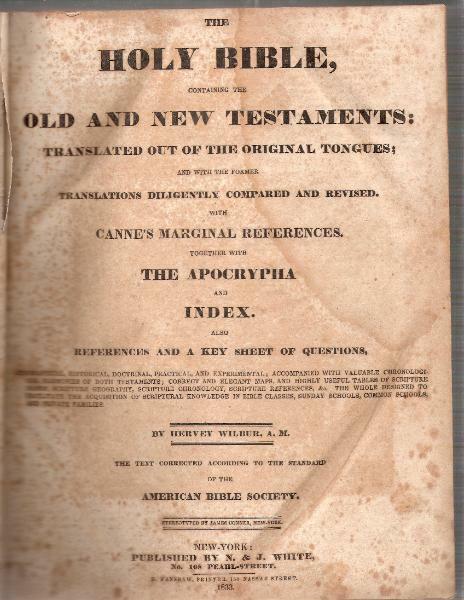 Holy Bible in English; American Bible Society, New York, 1833. 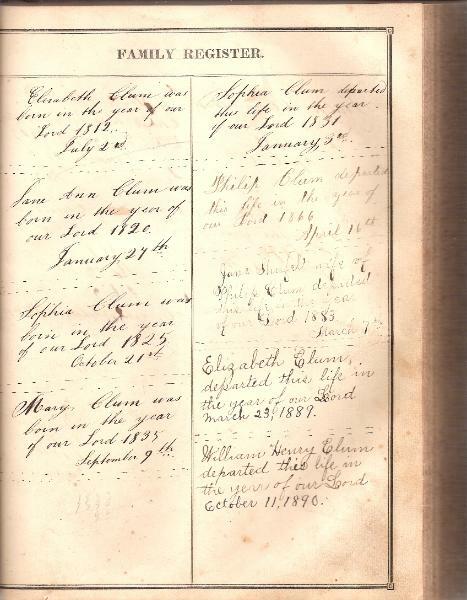 Elizabeth Clum departed this life in the year of our Lord March 23, 1889. 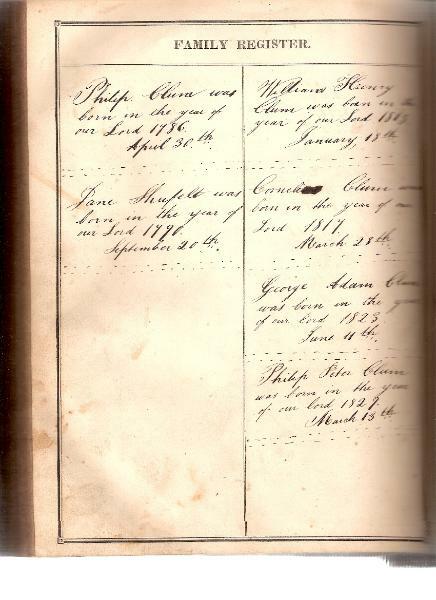 William Henry Clum departed this life in the year of our Lord October 11, 1890. Cornelius Clum departed this life in the year of our Lord, 1898, January 30"
George Adam Clum departed this life in the year of our Lord, 1903. 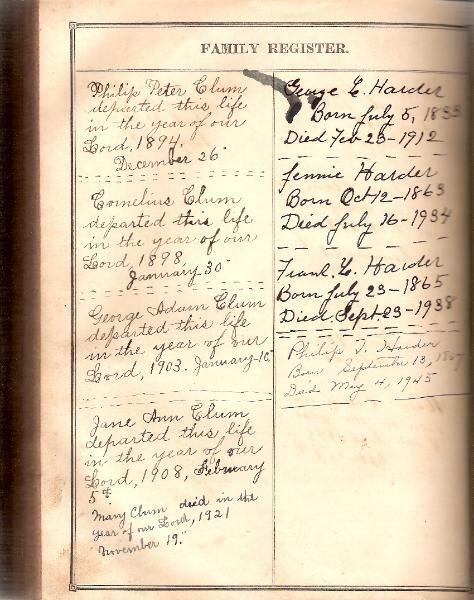 January 10"
Mary Clum died in the year of our Lord, 1921 November 19." Winifred Blake and have one son, Philip.